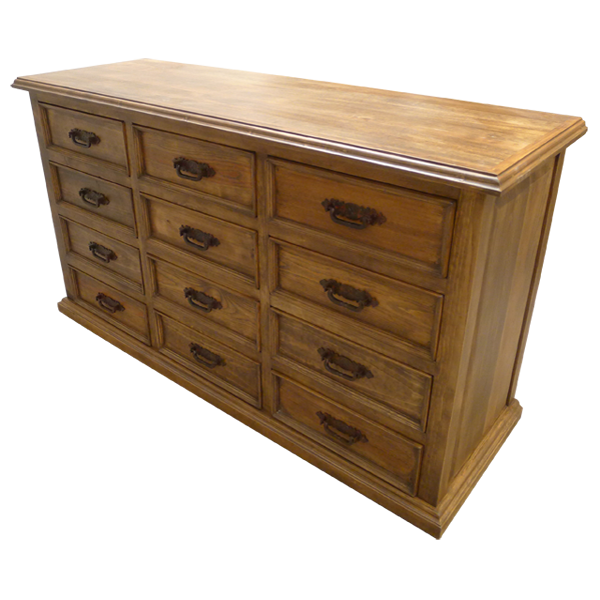 This handcrafted, Western style dresser has a lovely, light brown finish, but it can be stained in any color that is appropriate for your home décor. With its twelve drawers for practical storage and its luxurious design, this dresser will provide both beauty and function. 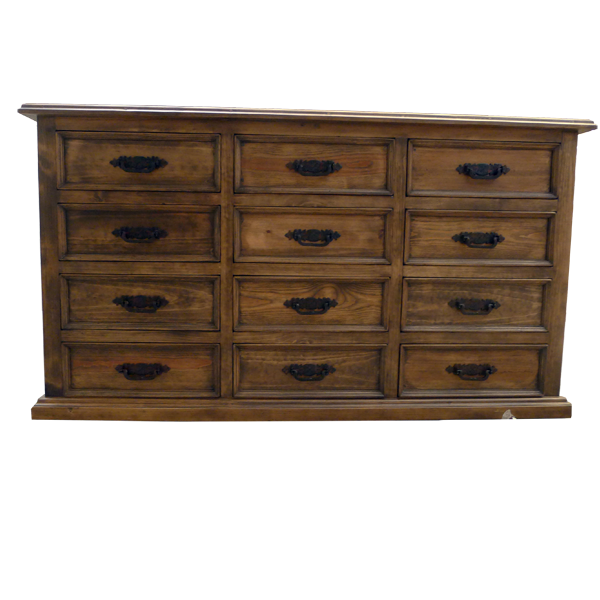 The dresser has an open, wide top with a classic, straight top rim. Centered in each of its twelve drawers is a hand forged, iron handle. The dresser rest on a solid wood molding base, and each side of the dresser is enhanced with a decorative, geometric cut panel. It is made with the best, sustainable, solid wood available, and it is 100% customizable.